I love working with my clients, and I especially love being able to share their unique business perspectives and company values via social media and PR efforts. One such client I had the pleasure of working with last week is Couples Resorts, a group of four all-inclusive resorts in Jamaica. I am the company’s Chief Romance Officer (yes, you read that correctly). 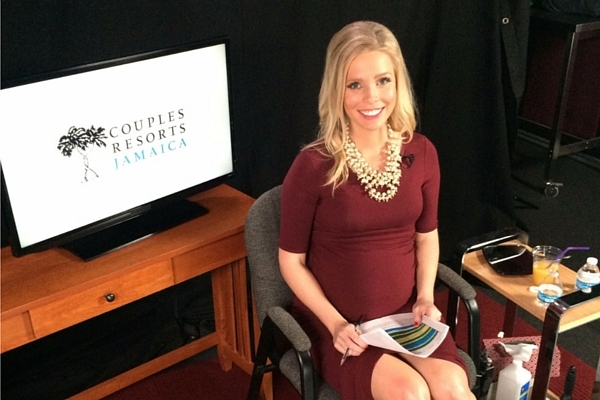 I am the chief of all-things love, romance and travel for this incredible company and last week I had the great opportunity to do a SMT, or, Satellite Media Tour to promote Valentine’s Day and ways to celebrate romance all-year round. If you are not familiar with SMTs, they allow a person to sit in one studio and communicate with various news stations across the country in real time via satellite. For this specific segment, I discussed 10 Things Happy Couples Do Every Day, just in time for the romantic Valentine’s Day weekend festivities. I spoke with nine news stations from across the country over a two-hour span and was able to promote our special booking offer and chat romance all in a day’s work. An agency to help coordinate the new station bookings and timeline. A local studio with producer and camera technician to ensure everything goes smoothly day-of. 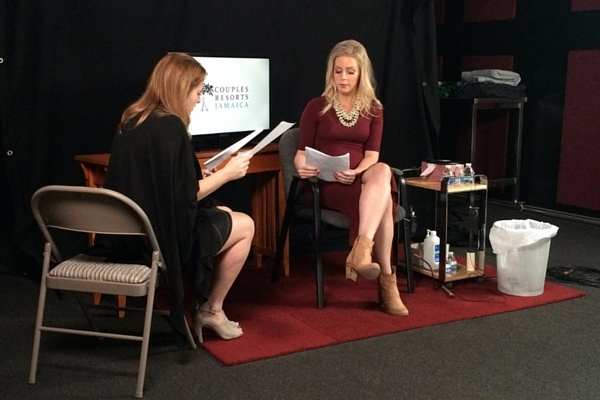 A compelling and relevant news segment topic that will resonate with your target audience. A good hair and makeup person or/experience with doing your own for the camera. The quintessential person to be in front of the camera who knows and loves your brand and can talk it up for 5-10 minutes. If you’re interested in seeing a few clips of the SMT coverage, please follow the links below. Hope you enjoyed the clips and learned something new about how to keep that romantic spark alive!